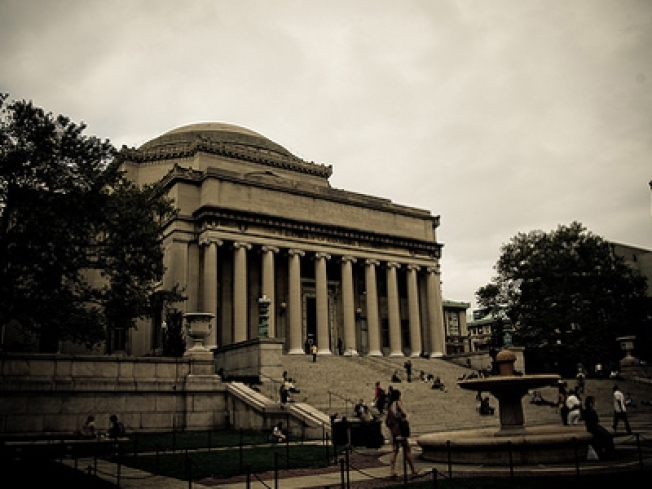 Columbia Unversity will be partying especially hard on Inauguration Day, as students and faculty watch an alumnus become the next American President. If you were lucky enough to receive the invite from Columbia U. prez Lee C. Bollinger, you already know where you're going to be when Barack H. Obama becomes the 44th president of the United States: behind the iron gates at the school's campus uptown, getting hopped up on cider and hot chocolate spiked with plenty of hope and change. Faculty and students alike are riding a contact high that can only come from being able to call a man who's made history one of your own. In celebration of Barack Obama's Columbia career (he spent the last two years of his undergrad career there from '81 to '83, focusing on political science and international relations), the school has gone "completely Obama," in the words of a student quoted by the Associated Press. Barring "extreme weather," partygoers will be able to watch the action live on a giant screen overlooking the plaza. As for installing any permanent markers dedicated to the incoming prez, like plaques or statues, the school is holding off for now. "We'll wait to see how he does," Bollinger told the AP.